Delivering high-value products requires teams to collaboratively discover the right product to deliver at the right time. Yet, teams struggle with this journey, wrestling with bloated backlogs, ineffective or inconsistent planning, and unpredictable Sprint flow. In the Backlog Refinement Practitioner training, you learn how to improve product agility and team outcomes through precise and transparent development of “ready” backlog items. You define and refine backlog items across the 7 Product Dimensions, prioritize user stories, and prepare for value-based planning. By using the product’s vision to drive Structured Conversations, you optimize the value in the product backlog, exemplifying the core of Lean and Agile practices. Learning these skills enables you to serve as a Backlog Refinement Practitioner, prepared to help your stakeholders collaborate as product partners, increase predictability in planning, improve smooth flow throughout sprints, and validate delivery of product value. 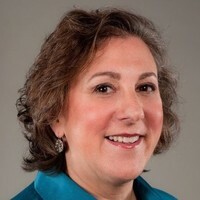 Ellen is an Agile Product Coach and CEO of EBG Consulting, focused on helping product and development communities create valuable outcomes through product agility. 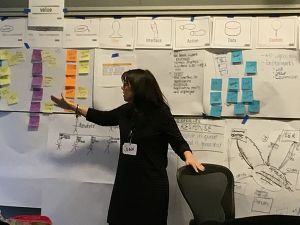 Ellen is known in the agile community as an instigator and innovator for collaborative practices for agile product discovery and using skilled facilitation to enable healthy teamwork and strong organizations. She is an author of three books* on product discovery and requirements, frequent speaker, and works with clients globally. She holds certifications in Scrum (CSM), Product Ownership (CSPO), and professional facilitation (CPF). In her spare time, she is Co-Producer of Boston’s Agile Product Open community and Director of Agile Alliance’s Agile Product Management initiative. Diesen Kurs können Sie zusammen mit der AgileTour 2018 in Stuttgart buchen.